Cute little chocolate low rider shakes in fear of the eu room. Rural shelter is full and has no choice but to euthanize. This sweet boy loves to cuddle...damn shame...he needs a rescue or adopter now! It’s a rural shelter with 22 kennels that is constantly full. He has been there for two weeks. We are volunteers who need a rescue or adopter to get him out. Do you have one? 2 Responses to "Will it hurt to die? 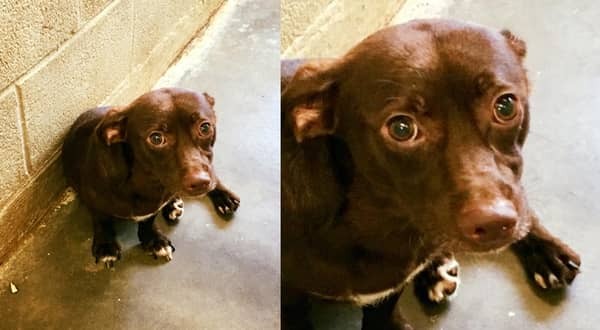 cute little pup shakes in fear of the 'euth' room"
Where is the information on which shelter it is?? ?